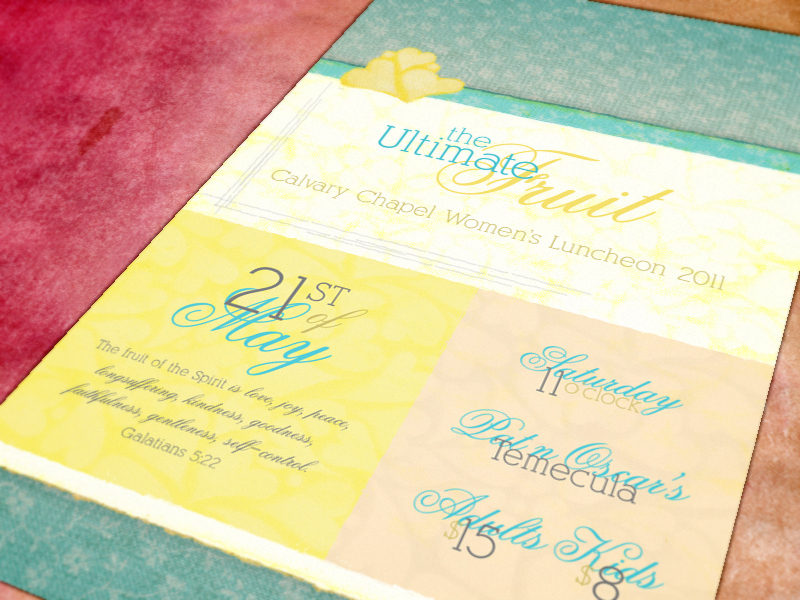 Every May, our Women’s Ministry at church hosts a women’s luncheon, head up by Jessica Williams, of J Rose Photography. 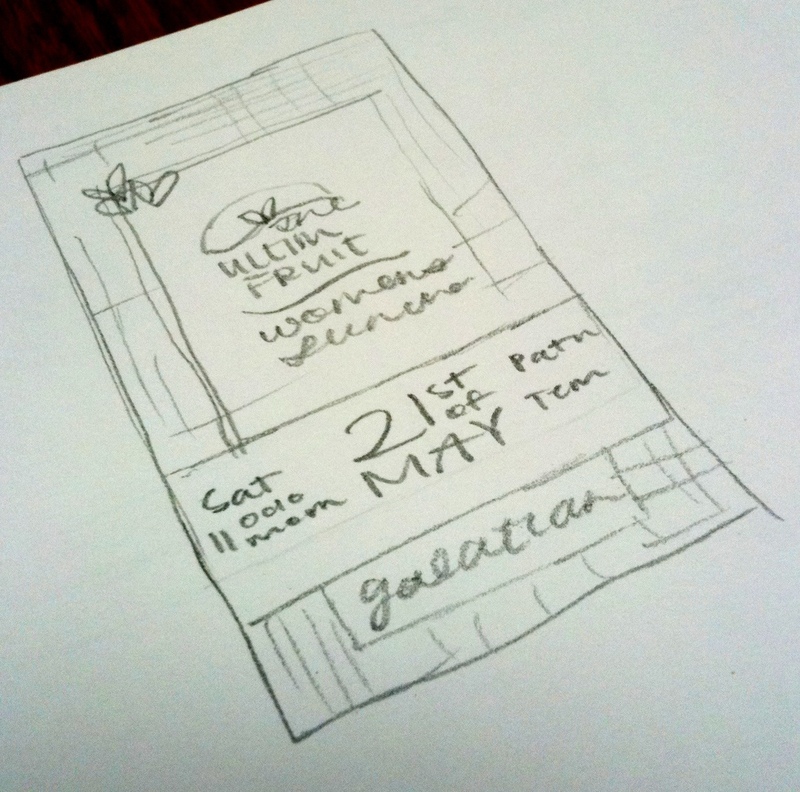 For the past two years, I was asked to design the bulletin flyers to announce the lunch and the tickets to the lunch. In addition, I have been putting on my crafty pants and, with the help of my mom, making a shadow box inspired by the printed collateral. 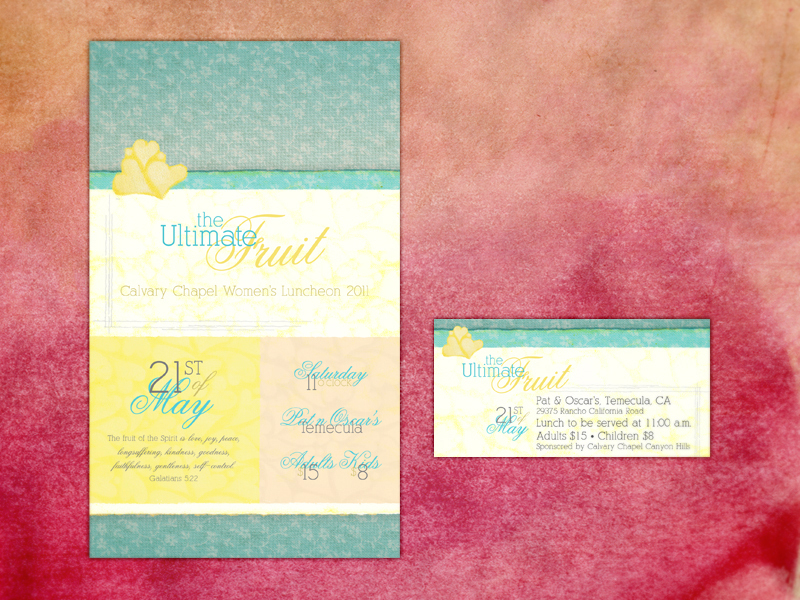 It’s always been a fun —read: a uber feminine— project as I design in a way that I don’t normally get to on a day to day basis. 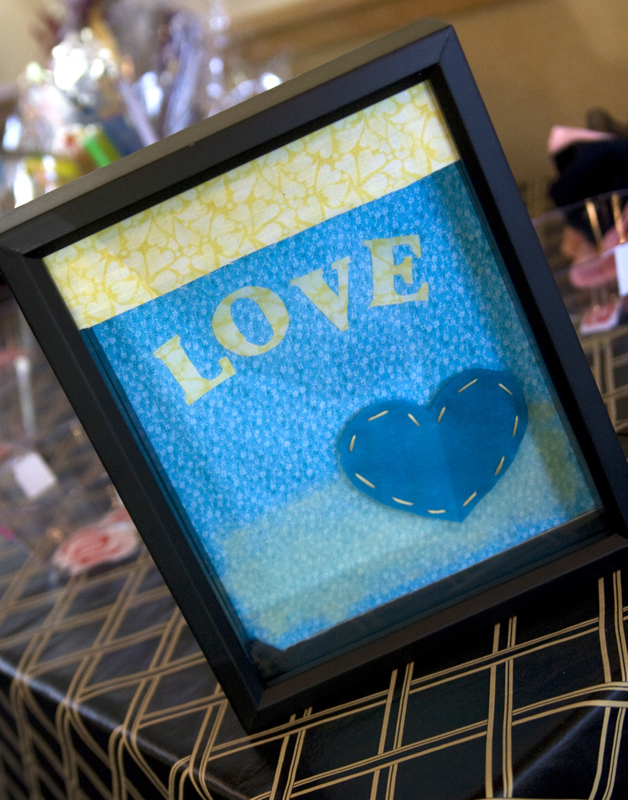 She planned to craft a lot of the decor and favors with different kinds of materials like fabric and felt. I was inspired by her choice of fabrics and in turn scanned them into the computer and used them as design elements. 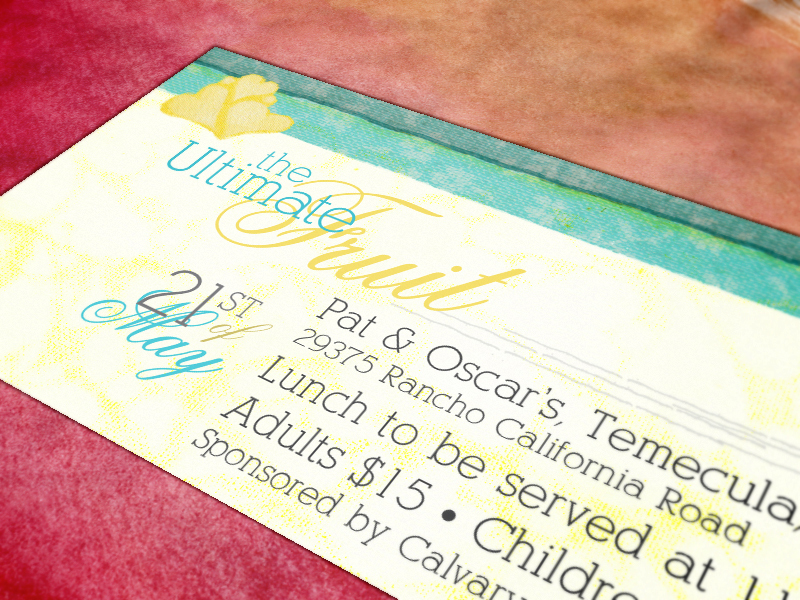 It was so fun and in turn, the luncheon had a very cohesive look to it between the decor and the printed materials to go along with it.